Some candidates don’t have a prayer of winning, but you might want to share an election prayer on your church website or on your church’s social media accounts. Here are some suggestions to get you started. Angela Mackey recommends the Psalm 40. Deliver us a decisive outcome. 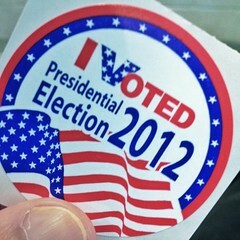 The nation is best served by an unambiguous result. to respond as faithful citizens in our community. who will bring us closer to your Kingdom. and through the power of the Holy Spirit. Amen. 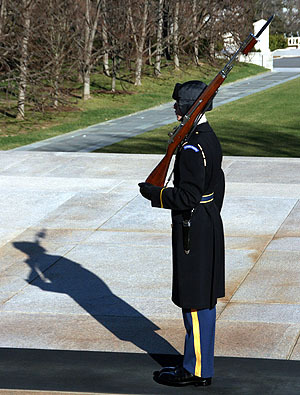 You may also be interested in Veterans Day Prayers and Reflections for your church website. Or, perhaps, the unsuccessful presidential campaign by our pastor (launched on, ahem, April 1). 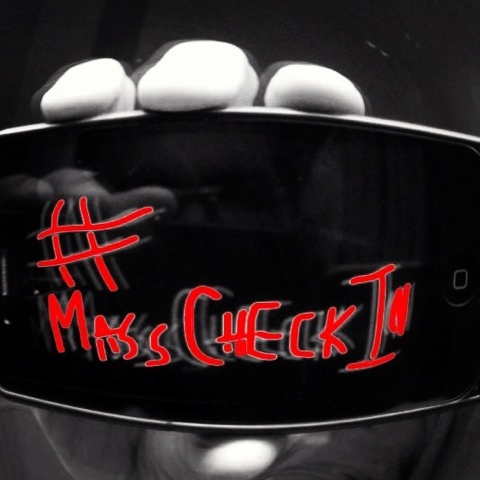 What Does #MassCheckIn Hashtag Mean? It means it’s Pentecost Sunday. And the folks who brought you #baconless during Lent are back with another Catholic meme. Just like the apostles went forth regardless of language, you’re invited to evangelize whatever your preferred social network. So on Pentecost, check in using hashtag #MassCheckIn whether you’re on Facebook or Foursquare, and tag a photo on Flickr or Instagram. See more info about #MassCheckIn. 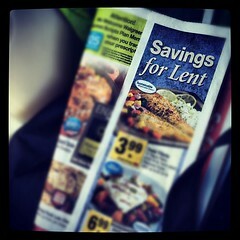 Want to hook your parishioners throughout Lent so they keep coming back long after Easter? Then tempt them with enticing Lenten content on your church website or blog. Here are 40 ideas to get you started. Polls/surveys. “What Are You Giving Up For Lent?” with multiple-choice options such as sweets, drinking, Facebook and TV is one way to start. Try Do Sundays “Count” in Lent? on the first weekend in Lent. How Well Are You Keeping Up With Your Lenten Goals? can be asked later in the season. Lenten reflections, such as encouraging 10 minutes a day of prayer (Concord Pastor), or “Finding Your Priorities This Lent” or “Thirst For Justice, Hunger for Peace” or praying a novena as suggested by Catholic Matriarch. #AshTag photos. Show pics of a cross-section of your parishioners with their ashes. Search Instagram or check NPR’s collection for examples to get you started. Non-meat recipes for Fridays. Catholic Cuisine will give you inspiration. Daily reflections on the Scriptures, such as from the US Bishops, the Catholic Information Network, RC.net, Creighton U, EWTN, Mobile Gabriel and one of my favorites: Pray As You Go. Or add the audio of the daily readings to your site. Saints of the day. Try the Saints & Angels list or American Catholic’s Saint of the Day (also an iPhone app). Pinterest. It’s the new Ladies Auxiliary. Here are examples. Tweet the daily readings and a reflection. Retweet these from @TodaysReadings (by Yours Truly). Information about the art in your church. Here’s an example of stained glass windows. Palm (of your hand) Sunday. Promote the mobile version of your website. Washing of the Feet photos. Show some of your own and they are sure to attract attention. Here are some examples for you. Reflections on suffering, sacrifice or similar Lent-related themes. Or by schoolkids. Online stations of the cross. Examples: Creighton University, a version for kids and another. Instructions for adding your church to your will, for those thinking of almsgiving beyond Lent. Here’s how the Catholic Foundation describes the process. Back when I was running my church’s website, we ran this bulletin announcement every President’s Day Weekend weekend. And now it’s yours to use this year. On Presidents’ Day Weekend, the Web Team asks you to Grant us the favor of a Polk around the parish web site, [URL]. We decided to Fillmore space by Lincoln to other great web sites. Be on the cutting- and Coolidge of technology, which we Taylor each week to meet your needs. Don’t beat around the Bush, but a-Ford yourself of this opportunity today. We’re not making this up, dude — it’s Truman! For professional use only. Handle with care. It’s September 19 so it must be, what, Monday of the 25th week in Ordinary Time (or Twitter version)? It’s also International Talk Like a Pirate Day. 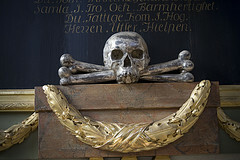 Celebrate with this buried treasure from ChurchMojo.com we arrrrgh diggin’ up for this here special occasion. Ironic Catholic struck gold again with F’thr Pete the Pirate Receives His First Parish Assignment. Please give them a thoughtful listen and then consider buying them to support Michael John’s wonderful music ministry. I hope you had a wonderful Mother’s Day. If you have a favorite Marian song, or your own Mother’s Day project to share, please do so in the comments.